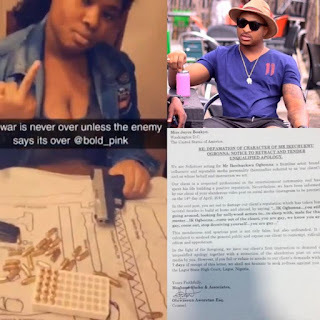 In a bid to scare IkOgbonna off, BoldPink shows a gun loaded with bullet. 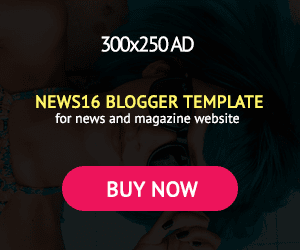 Video - NAIRAFAME | Best Entertainment Platform. 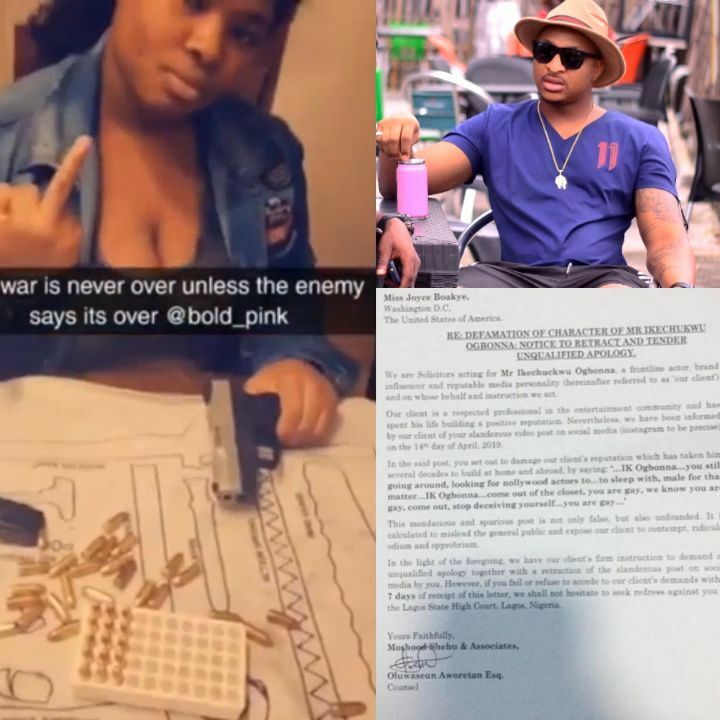 US Based Youtuber Bold Pink Calls Bluff On IK Ogbonna's Lawsuit As She Posts Video Of Her Self Armed to the teeth and Ready For Him!!! . Ok Ogbonna Hit Her With A Defamation Lawsuit And Gave Her 7Days to Apologize to Him, After She made a video saying Ik sleeps around with male upcoming actors, but with this her response it seems like she is not ready to tender any apology anytime soon! !